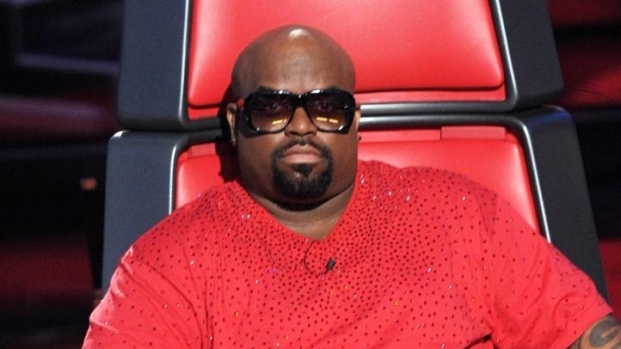 Cee Lo Green: I'll Stay a "Voice" Coach "As Long As It's Fresh"
Team Cee Lo fans rejoice. Cee Lo Green says he'll stick with "The Voice" singing competition show "as long as it's fresh." The rapper turned singer joined the show last year as coach and judge alongside Christina Aguilera, Blake Shelton and Adam Levine. "I would like to think that we were irreplaceable, you know what I'm saying?" he said in an interview with The Associated Press. "But the truth of the matter is, we're still working-class artists and artists can be very fickle. .... I would like to be here as long as it's fresh and new and exciting and fun for me." Green, 37, said considers the gig a "day job" and expects that NBC has plans in place should any of the judges decide to leave. But for now he's happy to continue "building the brand of Cee Lo Green" on the popular TV series, which ends its second season next week. On Thursday, the show's final four rocked out at a special Los Angeles live show for fans ahead of their final vocal contest on "The Voice" stage Monday at 8 p.m. ET on NBC. One of them will be crowned the winner on Tuesday's 9 p.m. finale, which also will feature performances by Justin Bieber, Hall & Oates, Flo Rida and Lady Antebellum. Cee Lo Eliminates Cheesa From "The Voice"
Cee Lo talks about the "difficult" and "disheartening" decision to eliminate Cheesa from "The Voice." He also tells how Whitney Houston was like a fairy godmother to him. Plus, what does he think of Christina Aguilera's idea of a "Mickey Mouse Club" reunion on the NBC reality series? Christina Aguilera's appearance on Maroon 5's hit from last year "Moves Like Jagger" has led to further musical collaboration among the show's stars. Green said he'd recently recorded a tune with Aguilera and has been in discussions with Levine. "And I have a song for Blake Shelton that I gave to him. And I'd like to do it alongside him. I'd like for it to be a duet," he said. And what about a supergroup featuring all four of the singers? "Why not, man? Why not? Everybody's talented. Everybody's available and highly enthusiastic," he said. "I think everybody would be up for it, man, because it's a great idea." Green was in a recording studio this week in Los Angeles finalizing a remix of the Meow Mix cat food jingle featuring the Persian cat Purrfect, which he often holds on "The Voice." His first major acting role comes in this summer's remake of "Sparkle," Whitney Houston's last film.